You are looking over your body and you realize that you have some extra fat in your shoulders. Maybe you have improved upon your six-pack and even gotten stronger leg muscles. You might even have bulkier muscles on your arms. However, now you need to work on getting rid of the fat in your shoulders so you can get stronger and bigger shoulder muscles. How are you going to do this? Well, there are exercises that can help and some other tips that will help you with this as well. Learn more here today! There are many approaches you can take to losing fat and there are many you can take to building muscles. While spot reduction doesn’t really work on any part of the body, you can focus on fat loss approaches combined with shoulder strengthening approaches and that could work the best for losing fat in your shoulders and gaining muscle too. One of the best types of exercise you can do if you want to lose fat in your shoulders and gain muscle is cardio exercise. Losing weight in any part of the upper body is often best done with cardio exercise along with strength training. This is something you may want to focus on to build stronger shoulder muscles. Some exercises that you may want to try for this are dancing, jogging, biking and hiking. Another thing you should focus on if you want to lose fat around your shoulders and get bigger shoulder muscles is the intensity of the exercises that you are doing. You should combine moderate exercises and intense exercises to achieve the best results around your shoulder regions. You should also be focusing on the time that you are exercising for. If you want to focus on losing fat around your shoulders and gaining muscle mass, you should be exercising for around 45 to 60 minutes, five days out of the week. That is when you will get the most results. When you do this for 6 weeks, you will see a major difference in your shoulder regions if you have stuck to the plan. If you want to lose fat in any area of your body, including your shoulder regions, you need to pay attention to the foods that you eat. You need to make sure your calorie intake is appropriate to what you burn off in calories. You should also fill your diet with foods that are nutrient dense to burn off fat and build muscle as well. To build upper body muscle mass, especially in your shoulders, you need to make sure you are doing exercises that are going to help you tone up. There are many exercises that would help you with this. You may want to talk with a trainer to see what would be best for your body size and your goals. Everyone is different in how they are able to tone up and with what will work best for them. You need to participate in strength training exercises if you are going to lose shoulder fat and gain muscle in those areas. However, make sure you are only doing these exercises two or three days out of the week, so your muscles have time to recover and build up. You now have the basic information you need if you are going to lose fat in your shoulders and gain muscle there instead. As with getting fit in any other part of your body, you need to focus on fat loss, exercising, eating the best foods and other things as well. 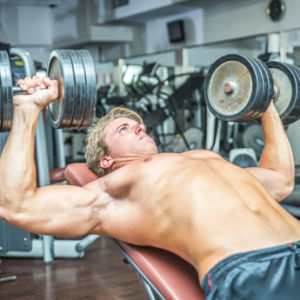 You have the proper information to get bigger and stronger shoulder muscles and now it is up to you as to how you utilize the information you gained here today.